The man who charged America $750 for Daraprim, an anti-AIDS pill, is going to trial. However, Martin Shkreli is not on trial for raising the pills by 5,000%, but for defrauding shareholders. Shkreli is accused of using money from one hedge fund to pay deficits in a previous hedge fund. Between 2009 and 2014, Shkreli allegedly began a fund, took bad stock bets, started another fund, used the money from fund #2 to pay fund #1, and repeated the process numerous times before his rise to infamy turned the spotlight on him. Federal agents arrested Shkreli on December 19, 2015 for security fraud. Shkreli is not the first pharmaceutical executive to go on trial, although he is the most famous and hated one. Barry Cadden avoided charges of second-degree murder, but was found guilty of multiple fraud, conspiracy, and racketeering charges. Cadden allowed his business, New England Compound Company, to use expired ingredients and falsified logs to mislead regulators. As a result, people nation-wide were given tainted injections for back injuries. The tainted injections lead to an outbreak of fungal meningitis that affected more than 700 people. The scandal ultimately resulted in the deaths of 76 of those ill. Cadden has been sentenced to 9 years in prison. 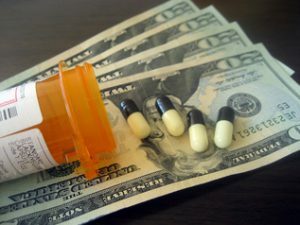 Shkreli often justified his decision to raise the price of Daraprim to such high marks by claiming that he was acting in the best interests of his shareholders. That claim sounds absurd in light of his upcoming trial, but it does raise a critical philosophy in our legal system: business executives have an absolute duty to act in the best interests of their shareholders, but owe nothing to the public at large. This ranking of interests is evident in Shkreli’s prosecution: raising prices to absurd levels has not resulted in any legal consequences for Shkreli, but blowing off his shareholders likely will. Even Cadden, who is being prosecuted for harming the public, is not liable for the deaths of consumers, but for lying to the government about the effects of his product. Shkreli might believe that what he is doing is beneficial to his company, but these interests seem to be short-term gains only. The negative media attention and Congressional investigations were not expenses that Turing Pharmaceuticals, Shkreli’s former employer, wanted. Cadden lead NECC into Chapter 11 bankruptcy. In the long run, this kind of moral less pursuit of the company’s profit above all other considerations would appear to have dire effects on the long-term viability of the company itself. Companies should consider, not just the potential for short-term profits, but the long-term consequences as well. It might be considered smart business to take over an industry that people’s very lives depend on and then maximize that dependency for as much profit as possible. But then Americans shouldn’t be so shocked and outraged when men like Shkreli and Cadden abuse that system.